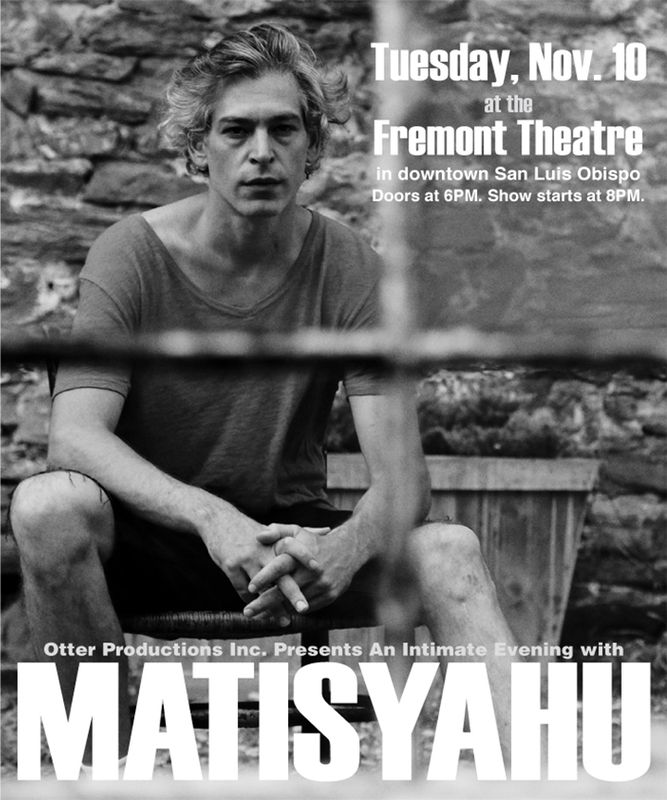 An Intimate Evening with Matisyahu - Otter Productions Inc. | Otter Productions Inc. An Intimate Evening with Matisyahu - Otter Productions Inc.
An Intimate Evening with Matisyahu, November 10, 2015 at the Historic Fremont Theatre in downtown San Luis Obispo. All ages. 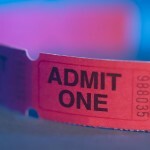 Advance general admission tickets ($30 plus handling fees, $25 Student Discount) are on sale now at all VALLITIX outlets. Charge by phone at (888) 825-5484, order on line at: www.vallitix.com . Also available at POLYTIX on the Cal Poly Campus at the PAC Box Office and polytix.com. Matisyahu’s long and prodigious career has included touring the world, releasing five studio albums and selling 3.5 million tracks to date, and now on the 10th anniversary of his breakthrough album Live at Stubb’s he is releasing a new album that celebrates the fan favorite original. Live at Stubb’s Vol. III takes a new look at Matisyahu’s extensive catalogue with stripped down and reworked versions of favorites such as “King Without a Crown”. To support the album, Matisyahu announced fall/winter tour dates with stops including San Francisco, Denver, Baltimore and more. This announcement follows the premiere of “Searchin” on Outlet… “Searchin” is the first song off of Live at Stubb’s Vol. III and offers a glimpse into what the album is all about. Over the course of the tour, Matisyahu and his band will present an evening of stripped-back arrangements highlighting the music that launched his career while taking fans of all ages on a journey through the evolution of Live at Stubb’s to his most recent release Akeda. This tour reconnects Matisyahu with musical collaborators from his early touring days, including Live at Stubb’s guitarist Aaron Dugan. Previous Live at Stubb’s releases have sold over 768k combined albums and over 500k tracks.